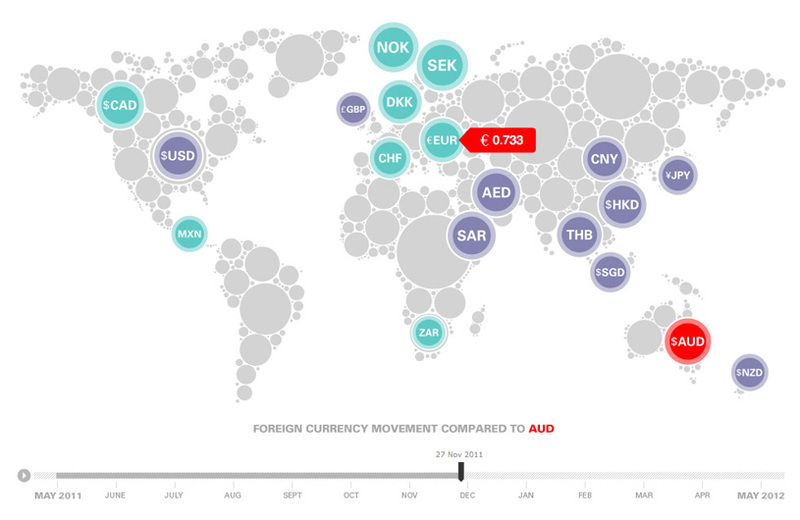 A series of currency data visualisations designed for HSBC. We developed visualisations and a microsite for JWT Sydney as part for HSBC’s Get Rate media campaign 2012. One visualisation is designed for desktops and iPads allowing users to interact with 12 months of currency data related to the Australian dollar. The second, a mobile version, presents a map visualisation to view exchange rates at daily rates. As part of the campaign versions were also developed for JCDecaux’s public interactive touch screens in Sydney and Melbourne locations.